Last Friday afternoon I attended workshops on the theme, “Christian Education in Ministry,” at the Assembly of World-Wide Partners conference. Facilitated by John DeJager, two speakers were featured in these workshops. Comfort Enders is a lead-teacher at an educational initiative in Liberia, Kingdom Foundation Institute. Dr. Gaylen Byker is president of Calvin College and an expert in Christian education around the world. Comfort Enders provided an account of her efforts to engage in ministry through Christian education. Enders describes a vision that encompasses the individual human person, related to three spheres of human life (the student, the family, and the culture), in five comprehensive aspects of human existence (emotional, physical, intellectual, spiritual, social). An engagement of each student with this model allows for an integrated and comprehensive ministry model, reflecting the wholistic ministry of Jesus Christ himself. After examining the precedents for the valuation of education in the Christian tradition, Enders gave specific attention to the work of her school, the Kingdom Foundation Institute (KFI), which has grown to 118 students, and is part of a growing network of schools, the Christian Schools Network, which functions as a faith forum to discuss challenges and opportunities in Christian education. Sharing the story of one student, Enders showed how the school can become a place for ministry not only to the students themselves, but to their families, and to the broader culture. One of seven children in her household, a girl we shall call “Victoria” began attending KFI during the school’s second year. Her father was a student in a registered nurse training program and her mother sold foodstuffs in the market. The experience at KFI persuaded the family to have Victoria’s 14-year old cousin, who had never been educated, attend the school. Her cousin is now going to be finishing sixth grade through an accelerated program. Victoria’s father, who was already familiar with the Enders through a discipleship group, has become a key member of the parent-teacher group and has begun providing a small health center at the school, which the students and other people in the community make use of. The motivation for this ministry comes as a response to God’s salvation and his call. The vision is for this program and effort to spread throughout communities and generations. The introduction to the hands-on challenges and opportunities faced by Kingdom Foundation Institute and Comfort Enders’ experiences in Liberia was really quite fascinating and informative. These are the folks on the ground who are making a real difference in people’s lives, educationally and spiritually. Gaylen Byker presented a global perspective on the situation of Christian education today. Foundational to Christian education as ministry is the image of a three-legged stool. 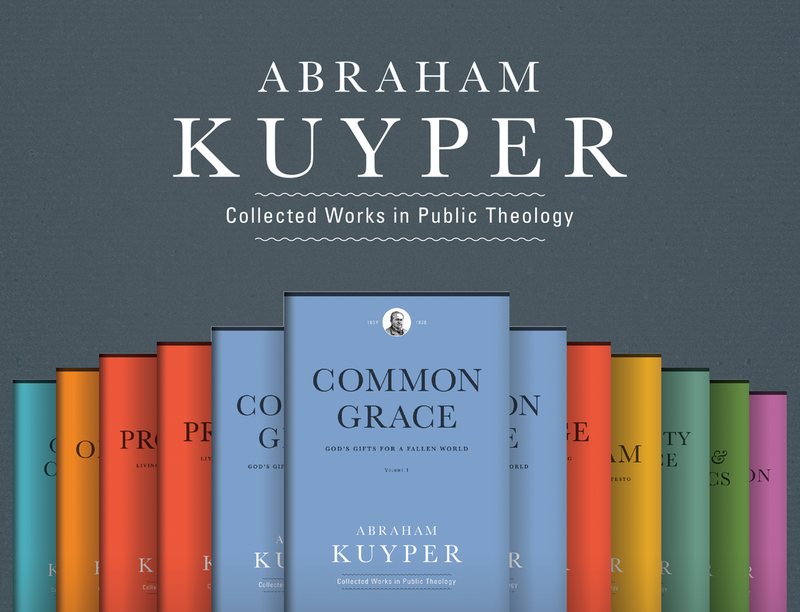 These legs are 1) Personal and corporate piety, living out our faith; 2) The doctrine of common grace, emphasizing all the things God does in the world; 3) Abraham Kuyper’s antithesis, the recognition of the ongoing war between good and evil. Christian education tends to go through a cycle of faithfulness to capitulation. Where any of these three elements are lacking, Christian education goes through an unavoidable decline. This cycle of secularization can be seen in the North American context in the cases of Yale, Harvard, and Princeton, but has been repeated again and again throughout the world. This temptation to remove one of the three basic elements of Christian education is always there for Christian schools. A simplistic dualism between faith and learning does not adequately incorporate the Christian faith into an academic setting. A pietistic Bible school does not appropriately engage the broader implications of various callings and professions. This is a “Reformed moment” in global Christian education. In the face of massive Pentecostal conversions, which tend to teach an anti-intellectual, otherworldly message, the question becomes: Now what? The answer must involve Christian education, an area where the Reformed traditions is experienced, successful, and established. We have the opportunity and responsibility for a worldwide network of Reformed institutions (schools and churches). The most important and difficult task will be finding competent and well-trained teachers and administrators. Dr. Byker highlighted two efforts at Calvin College to meet these needs: Kuyers Institute for Christian Teaching and Learning and the VanLunen Center for Executive Management in Christian Schools. In the developing world there needs to be a transition from mission schools to serious educational institutions at secondary and college level. The issue of funding is of critical importance. These schools need to be sustainable and free from undue dependence. There must be local investment and involvement, and outside influences must responsibly and respectfully engage local populace. A number of questions focused on ways to avoid the cycle of secularization that seems to be prevalent among Christian educational institutions. Dr. Byker’s answers admitted there are no guarantees, but he highlighted three factors that could be decisive: 1) The mission of integration of Christianity into education must be foundational; 2) The school should hire only knowledgeable and committed Christians who share that vision; 3) The school should be tied to an institutional body of believers/faith community. Enders observed how in her experience it was so important to engage in the critical examination secular sources that may be assigned in classwork. Other questions focused on the second element of Dr. Byker’s previous answer. How do we find Christians who have been trained to integrate faith and learning if they come from secular institutions? Dr. Byker observed that Christian schools must recognize that teacher development is right at the heart of what they do. There is a need to work with teachers all the time. The development of a master’s degree in Christian education was undertaken for precisely this purpose. Enders related how she spends time with the teachers, developing relationships and passing on how they need to integrate faith elements into teaching. A further set of questions engaged the issues of funding and sustainability. Dr. Byker was adamant that there needs to be some element of local investment for there to be long-term success. The need to sacrifice on the part of the local population is essential to the survival of the schools. One option is multi-generational (covenant plan) obligations. There does not have to be a single, rigid structure of obligation. But local sacrifice, involvement, and investment are essential. There was a great deal that overlapped with these presentations and interests at Acton. In particular, Dr. Byker’s contentions about government funding and involvement in Christian education sparked some lively debate. He argued that governments will tend not to object if you have the best educational institution and are teaching relevant subjects. But more controversially, he defended the assertion that government funding is almost always a problem for Christian education. It has almost never worked long-term without adverse effects on the Christian identity of the school. Voucher programs and other attempts to address this reality have had varying degrees of success and are only really feasible in areas with highly developed and reliable governing institutions, like court systems that can handle highly complex cases regarding church/state separation.